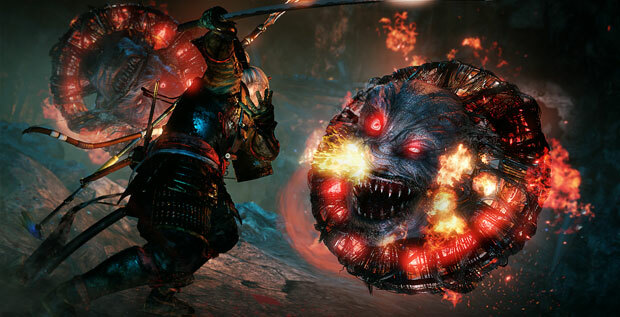 Here are some tips and tricks for the action RPG, Nioh. Armor Requires Stats - Keep in mind most armor has minimum requirements that you can see down where the resist stats are above them. You must meet these requirements to get the stat bonus from the armor. On the stat screen the "Required" stat will be red if you do not meet the requirements. Early Attributes - Heart is a very useful attribute because the more Ki you have, the more you can attack and dodge/block. Try to get magic and dex to 10-20 early on. This way you will be able to do Dojo training missions which are required to learn and unlock more powerful Onmyo and Ninja skills. Both the Onmyo and the Ninja skill trees have some very useful passives which are active regardless of what skills you are using. While we're on the subject of Dojos, make sure you complete all the Dojo training missions to unlock passives in weapon skill trees. Spirit is another very important early attribute. Your guardian spirits provide passive bonuses, but only if your spirit is high enough. Be sure to check your specific guardian spirit at a shrine or in the status menu to see how much spirit you need for each passive bonus. Later in the game you can purchase respec items which will allow you respec all your attributes, so don't worry about leveling the wrong ones. Keep in mind each time you buy a respec book, the price will increase. Useful early skills - Try to grab the "Does more damage after a perfect Ki pulse" and "Allow Ki Pulse While Dodging" skill upgrades early on. Buying these will allow you to recover Ki just simply dodging and not having to also hit RB to pulse! Another very useful skill is "Sword Ki". This released Ki from your sword stunning enemies. More importantly, this does a moderate amount of Ki damage to your enemies. Starting & Early weapons - If you can't decide which starting weapons to choose, don't worry too much. The choice isn't a big deal since you get plenty of weapons to choose from as you fight. If you still want advice, the Odachi is a really solid choice, as well as the Spear. Both are powerful and have a long reach, leaving you less exposed. That being said, make sure you try out all the different types of weapons in this game before committing your skill points, damage is not as important as how comfortable you are with a weapons moveset. Getting your hands on a dual katana can also be really useful early on. Starting your attack in mid stance and then finishing with high stance can be incredibly powerful. Stances - There are 3 stances: High, Mid and Low. Press RB + Y for high stance, RB + X for mid stance and RB + A for low stance. The high stance focuses on attack power. It allows the use of powerful techniques, but it can be slow. The mid stance is good for defense. It has a wide range of techniques and is generally used to start fights. The Low stance is good for dodging. You use less Ki and you can maintain guard as you move or dodge. Early on it's better to sell your items than dismantle them. A tip for quickly clearing your inventory is to first "lock" items you need by pressing X, then go to All Items by pressing LB, and then hit RT to select all. Going back to the map - To exit a mission and go back to the map screen for any reason (including being able to change missions, use the blacksmith and more), you can use a Himorogi Fragment. Keep in mind this will use up all of your Amrita, so be sure to spend it at a shrine first. Enemy Ki - The second bar shown on enemies (when you lock on) is their Ki. If you attack when the enemy is low on Ki, you are more likely to stagger them. Hitting enemies with strong attacks also lowers their Ki. At zero Ki, enemies can get knocked down, at this point you can quickly run up and hold Y for a strong attack while they are down. Saving and quitting - While the game does auto save your progress (shown via a spinning icon on the bottom of the screen), make sure you only quit the game after using a shrine, or you see the spinning save icon. Otherwise, you can lose progress and your amrita if you exit during a mission. You can also use a Himorogi Branch (unlimited uses) which allows you to quit a mission and return to your starting point without losing any Amrita. Shortcuts - Make sure to kick down any ladders, opening doors and interacting with objects you see by going up to them and holding B. This will open up shortcuts in the mission areas. Running away - If you run far enough from enemies, they will lose interest and go back to their original spot. More loot - Breakable objects can sometimes contain elixirs and other items. So try to roll through any objects you find! Light <=30%, Medium <=70%, Heavy <=100%, and Encumbered >=101%. It is generally recommended to stay below 70% weight to stay agile but still have enough armor to absorb enemy hits. Though if you are really good at dodging attacks, try going below 30% with light armor. Just be aware this allows some enemies to one shot you. Set pieces - Purple and other similar armor can have special set bonuses. You can check specific set bonus details by hitting Left trigger. Farming old missions - Be sure to check previous missions in previous regions for the quest rewards. Many previously completed missions award useful things like ammo which you can farm multiple times. Refilling Guardian Spirit - Try to keep a stock of spirit stones on your shortcut bar. Using a spirit stone will charge up your Amrita Gauge. This is very useful if you died on a boss and need some help from your guardian spirit. If you want to have your Guardian Spirit ready for every boss fight, simply call it back at the shrine if you die. You will lose your Amrita but you will be able use your familiar on every attempt. Gear Upgrades - If you reach a new area and want some new gear, try fighting the revnants scattered around the level. Each revnant has a chance to drop weapons and armor around your current level. Twilight Missions - These missions change daily and are usually end game content, so you don't have to worry about them early on. These missions can be very profitable as you can find high level revenants whom if you defeat, have a chance to drop a lot of amrita! Weak spots - Larger enemies can get staggered and take more damage if you can manage to hit their head. 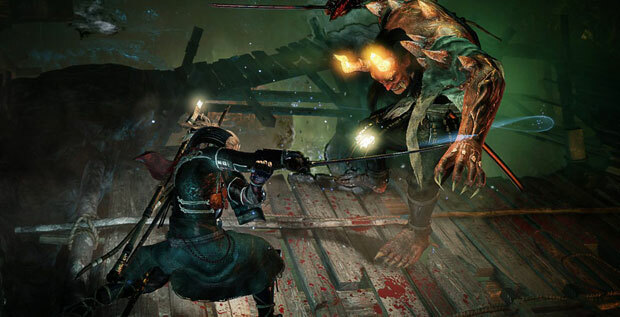 NG+ - NG+ in Nioh works similar to Dark Souls 2. The enemies are re-arranged and you will find more powerful versions roaming the levels.